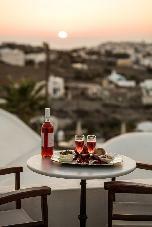 In the most beautiful area of Santorini, we created Agnadi Villas. The apartments, which are built according to the typical traditional style of the island, are set up in a building surrounded by a garden. From the private balconies you can enjoy not only the view of the sea, the sunset and the other islands, but also the magnificent view of Oia. 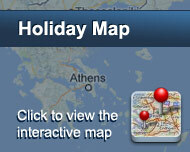 You can enjoy your drink at the bar of the swimming pool and admire the idyllic sunset of Oia. The apartments are spacious and individually designed. They have kitchen, bathroom, phone and their private veranda and daily service. Each apartment is lovely. Furnished in good taste, breakfast is served at the restaurant of the complex. Your stay at Villa Agnadi and our familiar hospitality will be unforgettable. Είστε ιδιοκτήτης ή διευθυντής στο AGNADI VILLA; Εγγραφείτε τώρα για δωρεάν εργαλεία, που μπορείτε να χρησιμοποιήσετε για να βελτιώσετε την καταχώρησή σας και να συνδέσετε την ιστοσελίδα σας και το σύστημα κρατήσεών σας.